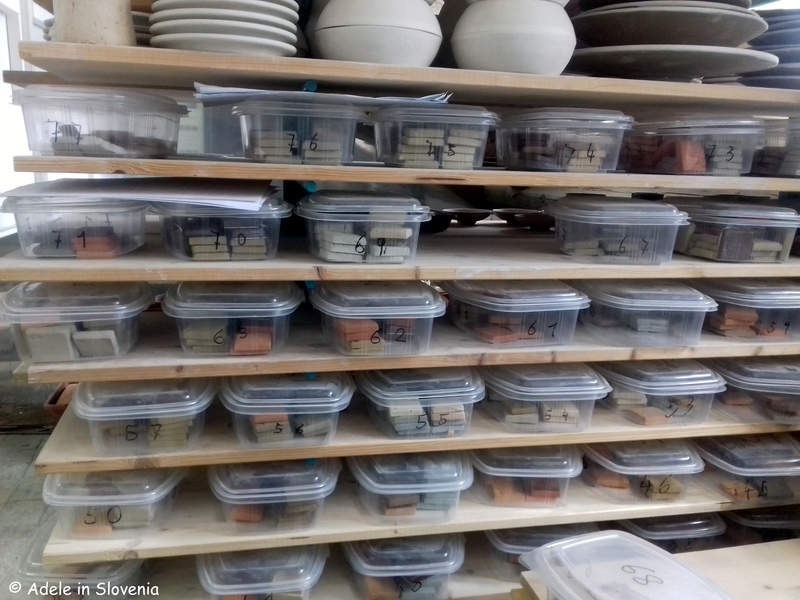 Magušar’s House – An Aladdin’s Cave of Clay! 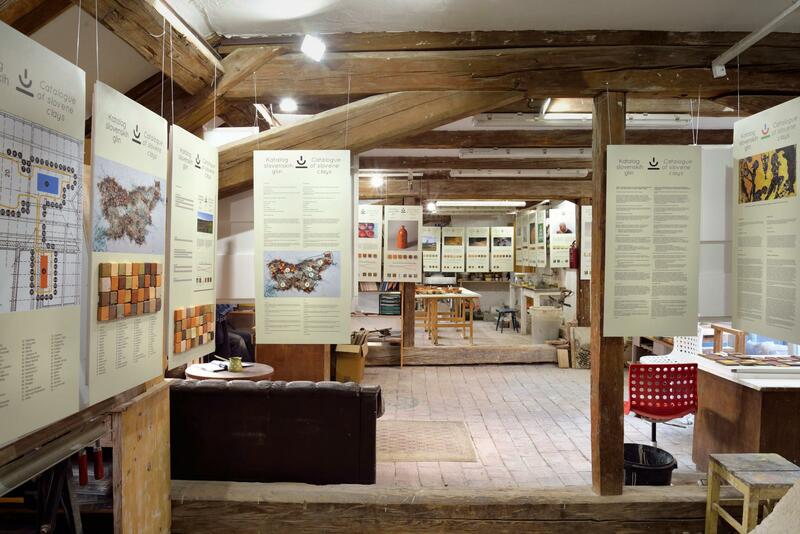 The fruits of the first year of a three year project titled ‘Catalogue of Slovenian Clay‘ are being unveiled today in an exhibition at Radovljica’s Magušar’s House. The official opening of the exhibition begins today at 7pm, so you’ve still got time to get along, but if you don’t make it, don’t worry, the exhibition will be on view until the end of the summer (entrance is free, however, prior notice is required). 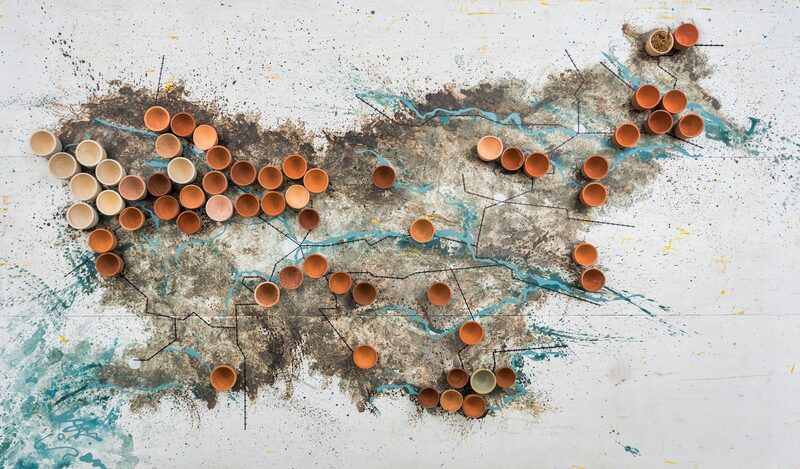 For the owner of the house and initiator of the project, Urban Magušar, clay isn’t merely a raw material from which he has been creating for decades – it is his life. 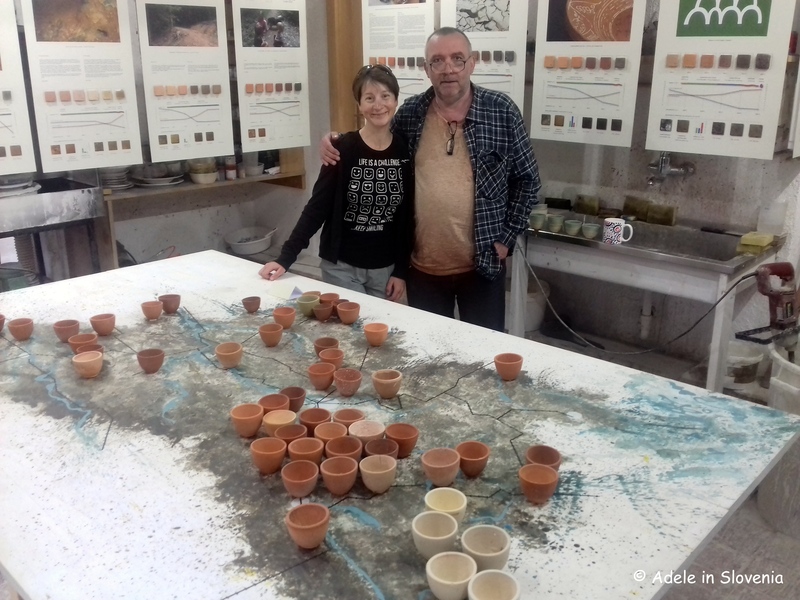 “Those that work with clay all the time, are in touch with the origin of the universe”, said Urban in a recent blog post (the English version of the brand new website is coming soon!) for Tourism Radol’ca. 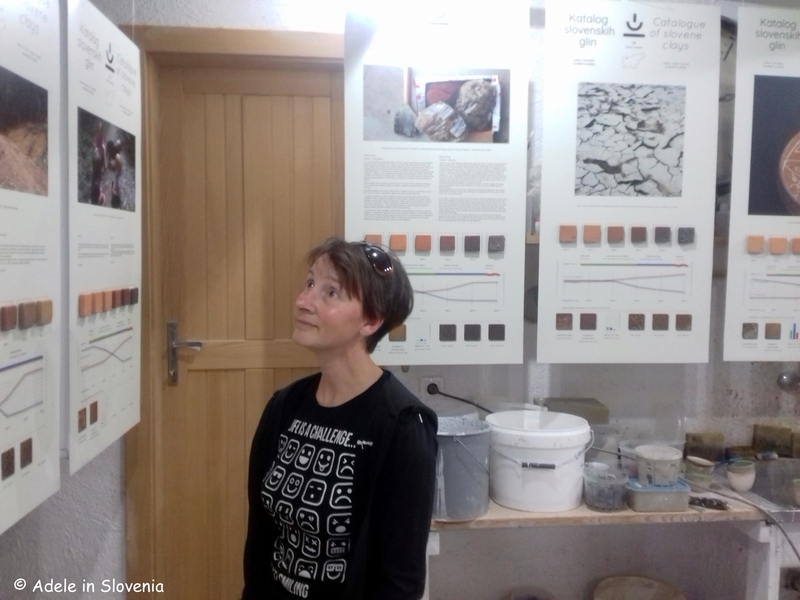 The current finds of Slovenian clay are shown on the map below. Incidentally, is often said that Slovenia, when viewed as a whole on a map, is shaped like a chicken. Do you agree? After coming up with the idea, Urban set about contacting ceramists throughout Slovenia and over 100 samples were brought to the workshop in Magušar’s House where they were tested for basic physical properties: contraction, porosity, colour and granulation and heated to temperatures of 800-1,300˚C to determine the temperature range of sintering and melting. 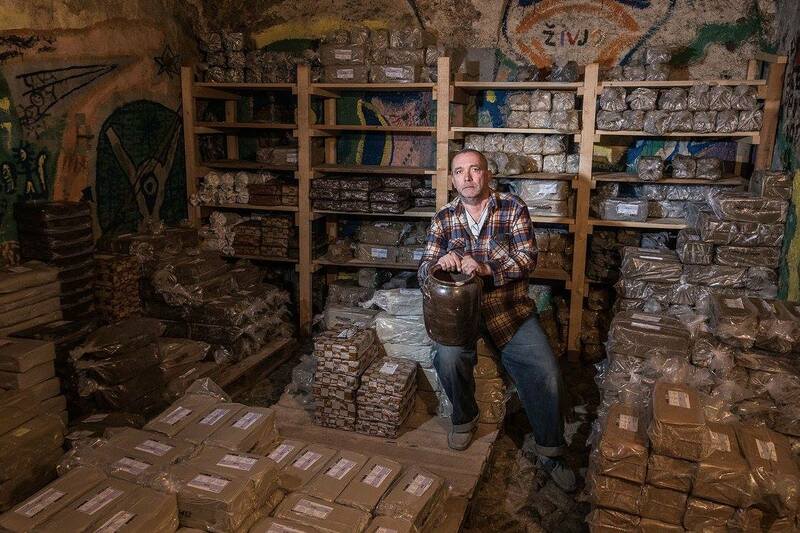 Below you can see Urban in his ‘Aladdin’s cave of clay’! Being a total clay ‘virgin’ it was fascinating to see all the different kinds of clay and how they react and change when heated and treated. 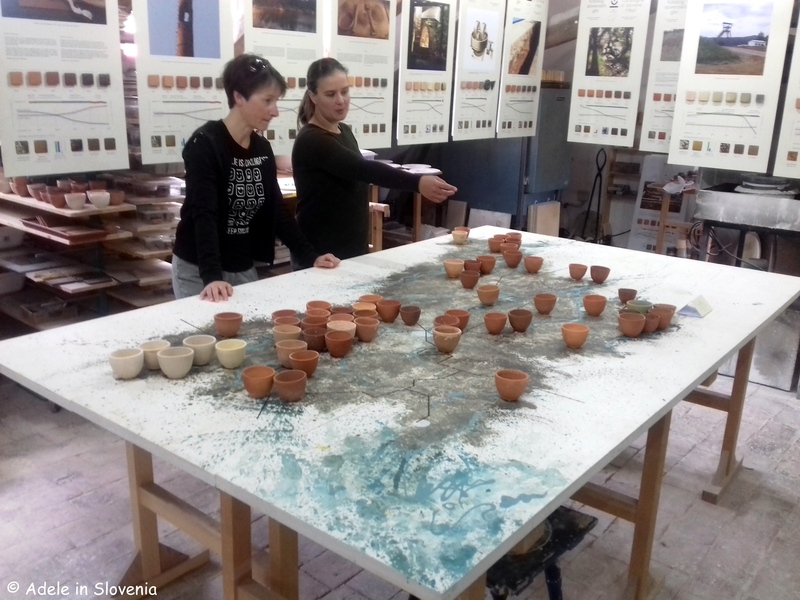 The artist and ceramist Živa Slavec explained to me about the different characteristics of the clays, for example, those from the Gorenjska are lighter in colour as there is more limestone, whereas those from the flat lands in Slovenia’s north-east are darker in colour and also more easy to locate and access. Magušar House in itself is also worth a look, with its arcaded gothic courtyard, dating from c.1500, and pottery workshop where you can buy Magušar bowls and other pottery items. Occasional exhibitions, workshops and other events are also held there. 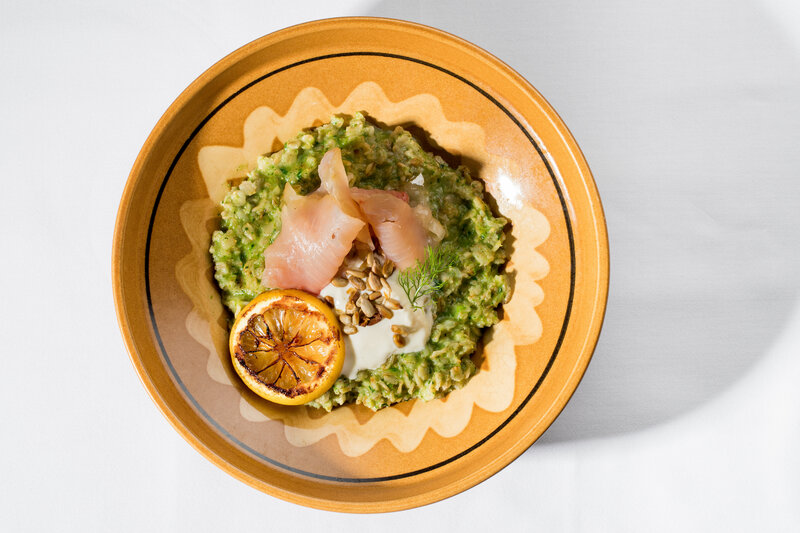 You can also find Magušar bowls being used in some of the Taste Radol’ca restaurants, where the focus on local food is further enhanced by serving it in local bowls made just minutes away – certainly no food miles involved here! The Visit Radol’ca website has more information about Magusar’s House and the other historic houses in Radovljica’s old town, Taste Radol’ca restaurants, as well as plenty more information on what else to see and do in the town and its surroundings. 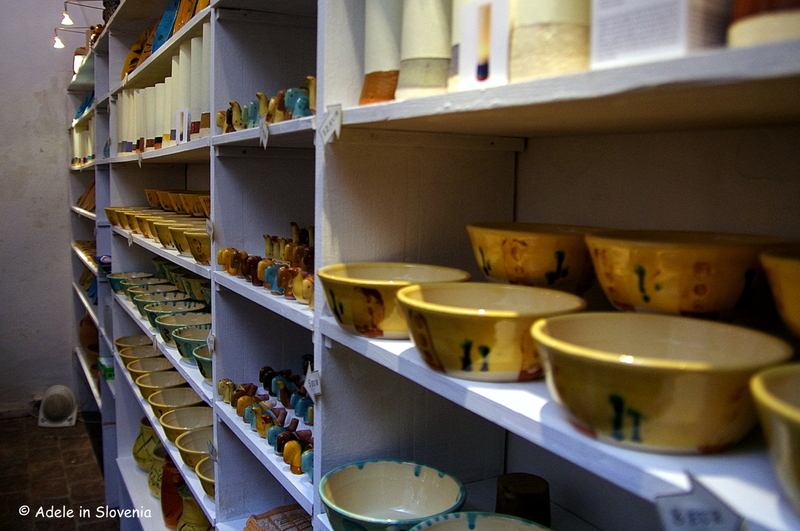 Do go and take a look, it sets you thinking and you will probably never look at a clay bowl the same way again! « Čebelji raj – A Real Bee Paradise! Very interesting! I love the craftsmanship and his passion for it. The overhead shot of the map and clay origins is awesome. Kudos for including it. 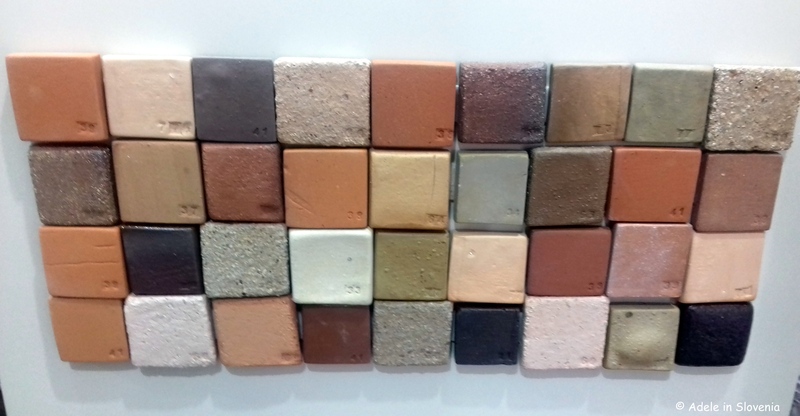 I wonder if Urban or another tile artist produces small architectural tiles that you might embed in a wall, tub surround, or kitchen backsplash? Or just to use as a coaster set. I will have to investigate! Your choice of photos really tell the story. A visual art as much as a tactile one. Nicely done.